The Manor House and Creative Imaging Fine Photography is located at 15580 New York State Route 193 in Pierrepont Manor, New York. 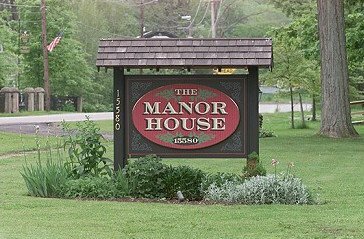 Located just 1/2 mile from Interstate Route 81, the Manor House is easily accessible just 20 minutes south of Watertown or 45 minutes north of Syracuse. Exit 40 (Ellisburg/Pierrepont Manor) and turn left. You are now on Route 193. We are 1/2 mile on the right. Look for the sign that says The Manor House. The house is yellow with brown trim and red shutters. It sits approximately 100 yards back from the road. There is a horseshoe driveway in front with stone columns on either side. Exit 40 (Ellisburg/Pierrepont Manor) and turn right. You are now on Route 193. We are 1/2 mile on the right. Look for the sign that says The Manor House. The house is yellow with brown trim and red shutters. It sits approx. 100 yards back from the road , there is a horseshoe driveway in front. with stone columns on either side.